Aspen Botanicals is a small nutritional apothecary nestled in the heart of the Yampa Valley in Northwest Colorado. 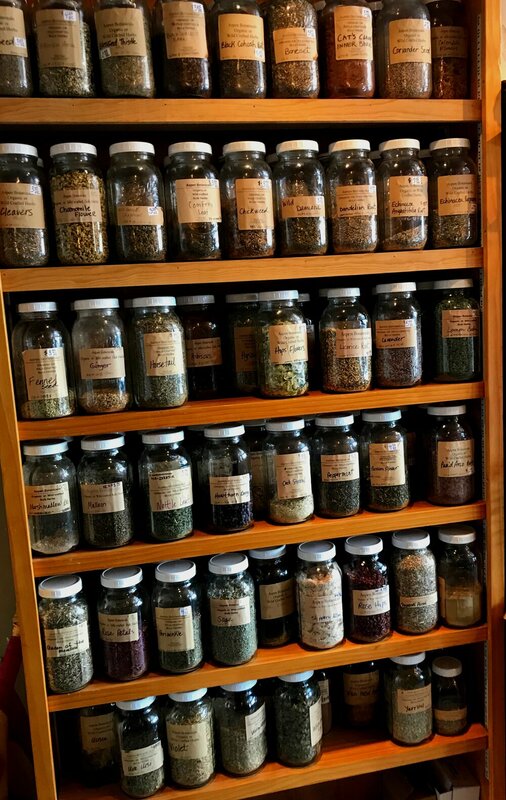 We offer local, handmade products including remedies, salves, tinctures, health and beauty products, teas, salt bath soaks, candles, honey, bulk herbs, and literature relating to all things natural. Step into our store for the best selection of organic products that are good for you and the earth to start your journey of holistic health. While many of our shelves are stocked with in-house goods, we also carry products from inspiring vendors around the globe. Take a deeper look at the plant medicine your body craves to help you heal from the inside out. From an extensive line of superfood supplements, to a curated selection of smudging and incense blends, Aspen Botanicals strives to provide merchandise that is fun to use and nurturing to the soul, the way nature intended. We are conveniently located at 116 8th Street in beautiful downtown Steamboat Springs, near all your favorite shops and restaurants. Come visit us soon, or schedule an appointment with owner Suzanne Tully for incredible Maya Massage and personal consultation. Aspen Botanicals creates and carries a wide variety of all natural products for your overall health and wellbeing. Whether you are looking for creative additions to your diet, or a stylish and eco-friendly gift for a friend, our boutique selection of goods will meet your needs. Try some home products to assist in creating a comfortable safe space, and be sure to pick up a journal or notecards decorated by our favorite artists. Owner and herbal guru, Suzanne Tully is a certified herbalist and midwife who offers services customized to your health goals. Maya Abdominal Treatment: Massage using an ancient Mayan technique to reposition organs that have shifted resulting in obstruction of blood flow, lymph drainage, imbalance in the nervous system, restriction of chi flow and digestive issues.